Teach a Bible Lesson Using Games! A Bible lesson learned while playing a game is a fun way to make disciples and teach God's truth! We appreciate this guest post by Alvin Gan of BibleGamesCentral.com! As God’s children, each of us are called to make disciples. A big part of making disciples is imparting the eternal truths of the Bible - God’s Word given to us to help us navigate life. And it is important that as disciple makers, we find creative ways to communicate the teachings of the Bible effectively. Whether you are teaching a Sunday School class of six-year-olds or leading an adult Bible study, it is important to have a good relationship with those you are ministering to. The relaxed environment that accompanies play allows you to get to know one another at a deeper level. With everyone at ease, you can better learn about their individual needs, learning styles and where they stand in their respective faith journeys. This understanding will make you more effective as a disciple maker, allowing you to teach them the things they need to know, and in ways they can grasp and apply in their lives. How often do you see children and youths dragging their feet to their Bible lessons? If we are honest, the reason why adults exhibit less of this behavior is because we are better at hiding how we feel. Studying the Bible should be enjoyable and exciting. And games are one way to inject some meaningful fun into the lesson. When Bible lessons are fun, your students are far more likely to attend regularly and invite friends as well. It is a well-known fact that we remember more of what we do than what we hear or see. This applies to all age groups. With games, learning is enhanced because students become active participants rather than just passive spectators. 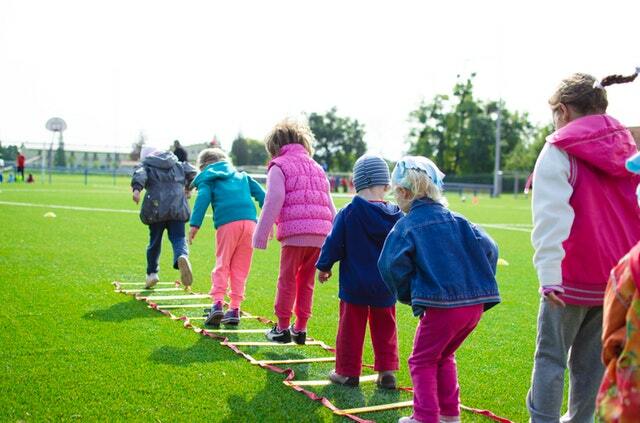 You can also cater to a much wider variety of learning styles using games and this can be especially important in reaching out to kinesthetic learners. Be clear about what you want your lesson to impart and choose your game accordingly. Very often, a game can be used to communicate several learning points but you need to resist the temptation to include too many take-aways with any one game. Not all games will appeal to all groups of people. A game that a five-year-old enjoys will likely be too juvenile and boring for a teenager. On the flip side, games that teens would enjoy might be too complex for younger kids. And don’t make the mistake of thinking that adults do not enjoy games. Besides taking your audience into account, you must also consider the allocated time and physical space available when selecting your game. This cannot be overstated. Many good intentions have gone up in smoke because of lack of preparation. Some games may require you to prepare the room or playing area in advance. Some games may involve preparation of supplies and props. Always give yourself adequate time and enlist the help of co-leaders if necessary. In your planning, be sure to include enough time for a meaningful discussion on the relevant Bible passages. Once you have decided on a game, invest some time to fully understand how it is played and the rules that apply for different scenarios. The last thing you want is to get stuck in the middle of the game because you weren’t familiar with the rules of the game. Even though you need to understand all the rules of the game, you do not need to explain all the rules in excruciating detail. Explain the game in the most succinct manner possible. You can just share the most important rules and have a printed copy of the other rules in case you need to refer to them to solve any disputes in the course of the game. Very often, a demonstration with several volunteers will be far more effective than a lengthy explanation. And always invite the participants to ask questions after you explain the game. There may be individuals in the group who are exceptionally shy and who do not enjoy group games. If appropriate, assign a special role for this person such as score keeper or time keeper. You should also avoid games that involve embarrassing forfeits, especially when playing games with children and youths. Perhaps the most important thing is for you to pray. Using games in your Bible lesson doesn’t make it any less of a spiritual exercise. Pray throughout your preparation, asking God to guide you in your game selection and planning. Pray for the individuals in your group, asking God to minister to them through the lesson. As you lead your Bible study, whether you employ games or not, never lose sight of the ultimate goal. The objective isn’t just to have fun. The objective isn’t just to get to know each other better. The objective isn’t just to impart knowledge. The objective is really to help each other become more like Jesus. Alvin Gan is the father of three noisy (but lovely) teenagers and founder of www.BibleGamesCentral.com. At Bible Games Central, you will find a variety of fun and captivating games complete with Bible learning points, recommended scripture passages and discussion questions. 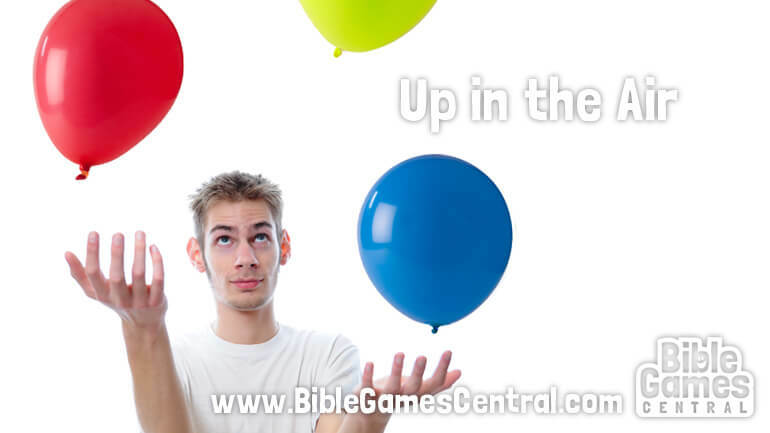 Try this Bible Lesson GAme Called "Up in the Air"